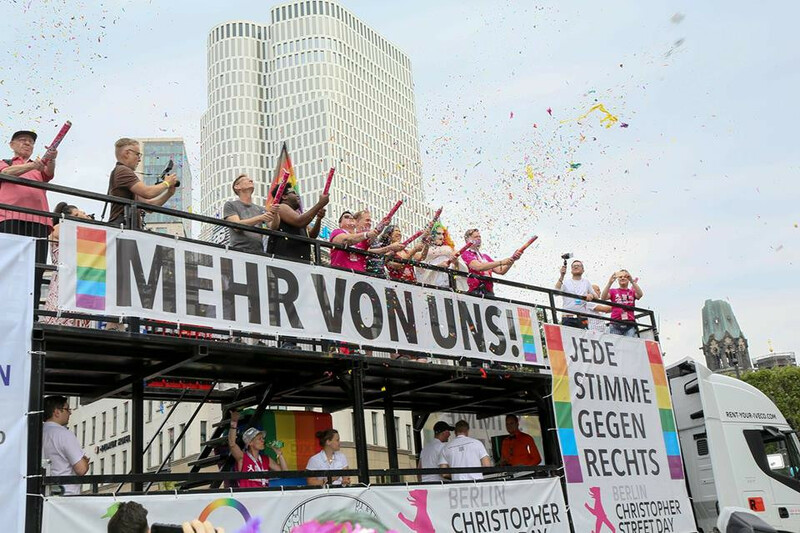 In Berlin the Pride festival is called Christopher Street Day (CSD) and has been a big gay landmark since 1979! Parade kicks off at 12:00 pm from Kurfürstendamm via Nollendorfplatz and Siegessäule to the world-famous Brandenburger Tor where the closing event will take place from 4:30 pm to midnight. A variety of bands, acts and DJs will perform on the main stage, and the Soul of Stonewall Award ceremony will be presented.